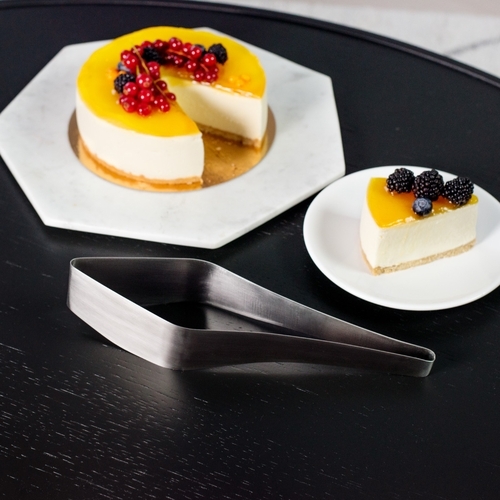 The world's most famous Cake Server just got even better. Bigger size and more convenient shape makes cutting and serving a perfect piece of cake...piece of cake. 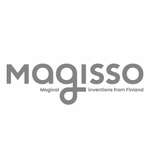 The story of Magisso started in 2008 with two guys, Juhani and Anssi. They wanted to start an international design company, with no prior knowledge of or experience in either design or international business. Really. What they did have, though, was a burning passion to solve pesky everyday problems and make life easier. For example, one puzzle that the guys constantly discussed was 'where on earth can you place your dish cloth?'. Indeed—in the olden days people would just casually fling their damp, bacteria-ridden kitchen cloth wherever: on top of the tap, next to the tap, maybe even inside their kitchen cabinets. In 2009 Magisso launched the innovative magnetic Cloth Holder, and immediately Juhani and Anssi knew they had found their niche: design that's both breathtakingly beautiful and delightfully problem-solving. Don't get us wrong—our office closets are filled with horrendous prototypes that shall never see the light of day for very good reasons. Yes, the start-up spirit has always been strong here at Magisso, and that means we go for it—if a product idea fails, that just means you'll have gained the knowledge to make the next one even better.